Blog Alan Butcher Components - Company News and Updates! Float Switch Float switches are one of the most proven, reliable and cost-effective technologies for measuring liquid levels. 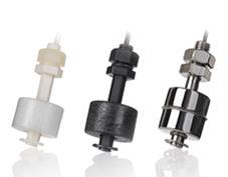 There are several things to consider when sourcing a float switch for your application. These include: • Contact Form – Normally Open or Normally Closed • Mounting position – horizontal or vertical • Housing material • Electrical rating • Lead length and material • Size of tank/container This guide will run through each of the above. .
REED SWITCHES & REED SENSORS - SUSTAINABLE SWITCHING. Alan Butcher Components supply reed switches and sensors manufactured by PIC, Germany. Using sustainable technologies is often a key consideration for design engineers. 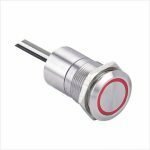 With increased environmental legislation impacting on product design, reed switches offer a non-touch switching solution for a wide variety of applications. So, what makes them a sustainable switching option? Efficient – a reed switch draws no power. A magnet changes the state of the . Everel TG Series Toggle Switch Everel has updated it’s widely known and trusted A1 series rocker switch by adding a toggle! The TG series of toggle switches is based on the 13x19mm A1 switch and has been adapted to include a toggle lever. The metal lever is separated from the internal contacts ensuring that no additional insulation is required, such as rubber caps. One of the key features of this new range is that . What Are Panel Indicators? Distributor Alan Butcher Components helps to explain. Panel indicators are optoelectronic devices which emit light to show the operating condition of a machine or appliance. 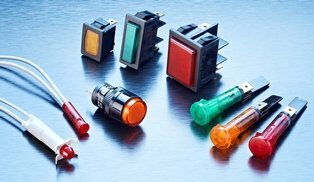 Manufacturers and distributors use various terminologies for this type of product which can be confusing when trying to source an item, particularly on-line: Signal lamps Signal lights Indicator lights Indicators Panel indicators Pilot lights Essentially, the above terms all describe a light . What’s New From PIC? Find Out At The Sensors & Instrumentation Exhibition! 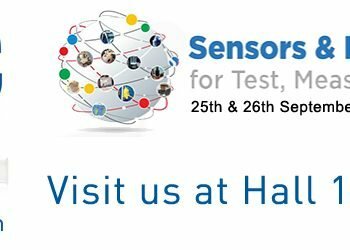 25 & 26 September 2018 | Hall 1, NEC Birmingham | Stand C1A Following the success of the 2017 Sensors & Instrumentation Show, PIC GmbH will be exhibiting again in 2018. Last year was the first time PIC showcased their products in the UK and we were delighted with the response. As their UK distributor, we are looking forward to supporting them at . Touch switches are a type of switch typically activated by the touch of a human operator. There are three main types of touch switch: Capacitive Resistive Piezo For the purpose of this article, we are focusing on capacitive. Capacitive or capacitance switches work by detecting changes in capacitance or electrical charge. The human body generates an electrical charge and this is detected when you touch the surface of the switch. The capacitance increases . Caravan Salon 2018, Dusseldorf – Another Successful Show For Berker GmbH! 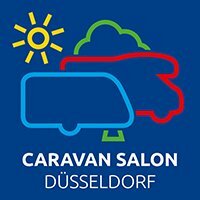 As one of the most important trade fairs for the caravan and motorhome industry, the Caravan Salon, Dusseldorf is a valuable opportunity to showcase new and existing products. 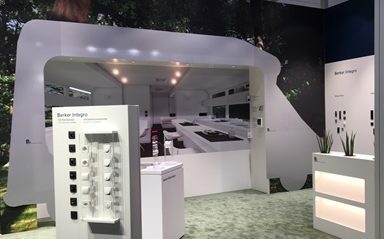 For Berker GmbH, this year was no exception! Berker manufactures socket outlets and switch systems. They are a key supplier to the majority of caravan and motorhome manufacturers across Europe. The 2018 Caravan Salon has . New Products From Alan Butcher Components! 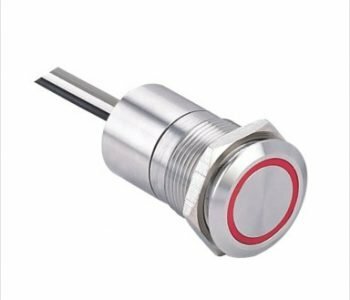 We have recently added the following new products to the Alan Butcher range – Push Button Switches: AB-PB-1003 – 16mm, red illuminated, latching push switch fitted with 150mm leads. 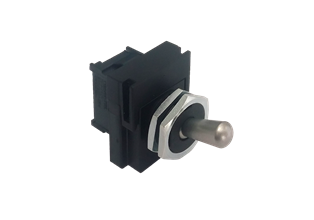 The majority of the push switches we stock have fast-on or screw terminals. As part of a control panel design for a ventilation unit, we were asked if we could supply a switch fitted with leads. The AB-PB-1003 suited . 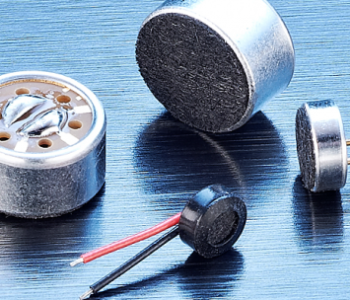 Electret Microphones – Tiny Components Doing Amazing Things! 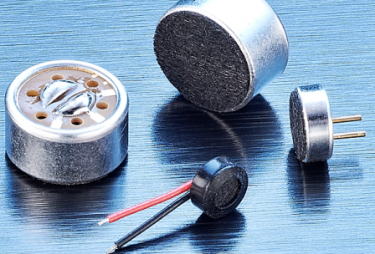 Alan Butcher Components stocks a wide variety of electret microphone components and it is fascinating for us to see where these small products are actually used. Our smallest product is just 3mm in diameter! Microphones convert sound energy to electrical energy and listed below are just a few of the type of applications our products are used in: Specialist audio products for fire and . Caravan Salon 2018 – 24.08 – 02.09 The world’s largest trade fair for caravans and motorhomes takes place next month in Dusseldorf, Germany. It is a huge exhibition, covering all areas of camping and caravanning. One not to be missed if you have any interest in this sector. 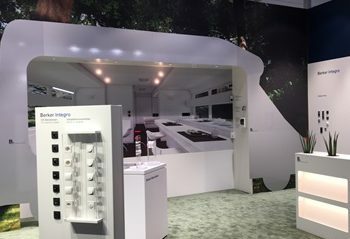 Our socket outlet and switch systems supplier, Berker GmbH, will be exhibiting. They are showcasing their existing range along with new product innovations. As Berker’s official .